The Sacramento Kings recently wrapped up yet another losing season, a 32-50 campaign that is notable only for the All-Star weekend trade where they sent their best player to New Orleans for what appears to be a meager return. Once again, the Kings’ front office revealed itself to be an ill-equipped mess pulled in competing directions by a trigger-happy owner and a math-averse GM. The primary return for DeMarcus Cousins was the Pelicans’ first-round pick, slated for the 10 slot. This is a vital offseason for the Kings, since they have two picks this year and will have to fork over their pick in 2019 to Philly as a result of a dumb trade they made a few summers ago. A lot is riding on this draft. According to Adrian Wojnarowski, the Kings have shored up their front office by hiring former Magic assistant GM Scott Perry to more or less serve as the team’s new shadow GM. It sure says something about the Kings’ standing in the league that they’re left picking up the Magic’s scraps. 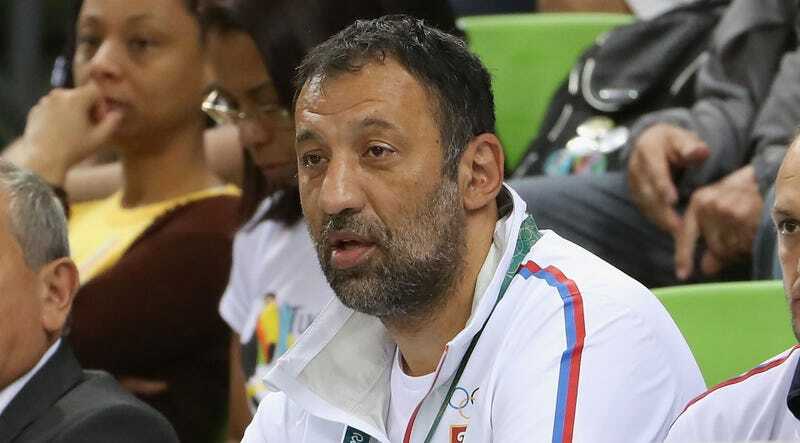 Getting someone who can do math is useful, as is curtailing Divac’s power. However, Perry and Divac splitting power probably means that the Kings will hew to their traditional draft strategy and pick whichever players owner Vivek Ranadive fell in love with during the NCAA tournament. The Skal Labissiere era is off to a roaring start. DeMarcus Cousins Thinks Vivek Ranadivé And Vlade Divac Pulled A "Coward Move"